why would there be a thief's guild there is not a thief class? Any one of the classes can be a thief since they all have sneak skills. Unlike other MMOs, TESO is allowing the freedoms of other Elder Scrolls games by giving you a class to build off of, not confine you to. For example, you could have a Sorcerer who wears heavy armor and wields a greatsword, or a Dragonknight archer. The possibilities are endless. There is no «Mage» or «Fighter» class either. Have you ever even played Elder Scrolls before? I highly doubt it, otherwise you would know that there has always been a Mage, Thief, Dark Brotherhood and Fighters Guild. Hi Jason, good question, however in ESO the Nightblade fills the role of the ARCHETYPE of Thief/Rogue/Assassin types… Yet even so, Jacob is correct by answering about how any and all classes will still be allowed to play in the Thieves Guild etc. because of the ability to create versatile characters :D Andrew is also correct that there was a Thief class in some previous TES games. For a fuller explanation, see more on it in my post below. Yes, the Warrior, Mage, Thief and Adventurer are not new to the Elder Scrolls games. I always liked the Adventurer class because i could choose how to build my player character and so play any combination of the other classes and put my points wherever i wanted for a unique play-style. Yet any class could join the Thief's Guild or Dark Brotherhood in previous TES games, and this will be the case for ESO too. However, in ESO the Nightblade class takes the place of the Thief or Rogue type classes, and will likely benefit from the introduction of the Thieves Guild and Dark Brotherhood skill-lines, and fit right in. Nevertheless, other classes can design their builds to allow for better stealth than their starting class. Even though you can start out choosing the skill-lines from a few different races and classes, such as Dragonknight (Warrior-Might Archetype), Templar (Healer Archetype), Sorcerer (Magical Archetype) and Nightblade (Rogue/Thief/Assassin -Stealthy) Archetype for a basic starting point — there are still additional skill-lines you can choose for yourself. These already include The Fighters Guild, The Mages Guild, and The Undaunted skill-lines. You can belong to all of those additional guilds and have access to their additional skill-lines at the same time, and choose to put skill-points on any combination of abilities from any of these skill-lines that you like. There is also a World Magic (Soul-Magic) skill-line that all classes can use. This gives you allot of ways to balance out your stamina, health and magicka abilities by how you use your skill-points. Even weapons and armor types have their own skill-lines, which vary between how much of each type of energy they use or augment. Light Armor (Magic), Medium Armor (Stamina), Heavy Armor (Health). The Mages Guild (Magicka focused), Fighters Guild (Stamina focused), Undaunted (Health focused) etc. — and so you can use any or all of these in a combination that works for you. Weapons, clothing, armor and jewelry, are also enchantmentable, so you can buff these in combinations to your liking, as well. The Werewolf or Vampire skill-lines are already also included in the game, but you can only choose to be one or the other at any given time on the same character, of course. You choose it, by becoming infected with either and choosing to keep that disease or getting cured. 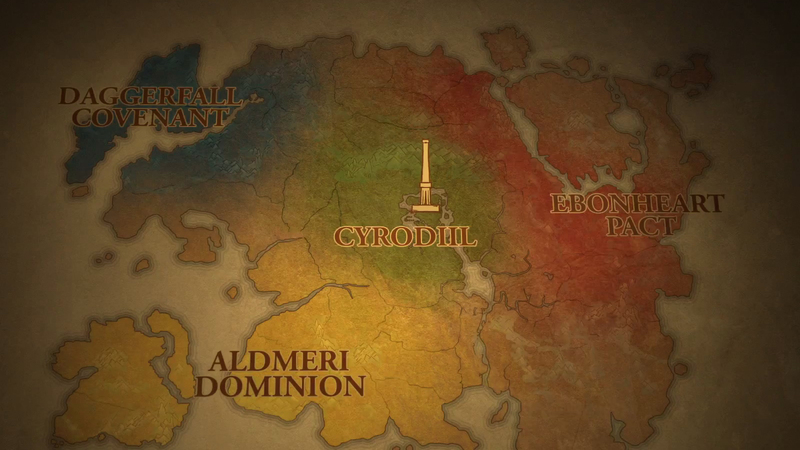 Coming soon ESO will also the Thief's Guild (Thieves), and Dark Brotherhood (Assassins). With all these additional skill-lines that any or all types of classes can use, you really do have the ability to make a unique and versatile character of your own design.